Ten-year-old Ben Fox has good friends, a great dog, and a lightning-fast little sister who drives him a bit batty. The only thing in the fifth grader’s life that’s truly annoying–well, besides having to wear braces on his feet every day–is the family’s wily Siamese cat, Percy. Ben has always suspected something was off about Percy, who has never shown him or his beloved dog, Captain Sparkles, much affection. But now he’s sure something is off—Percy has raised an army of squirrel zombies in the backyard and they’re ready to take on the dog. 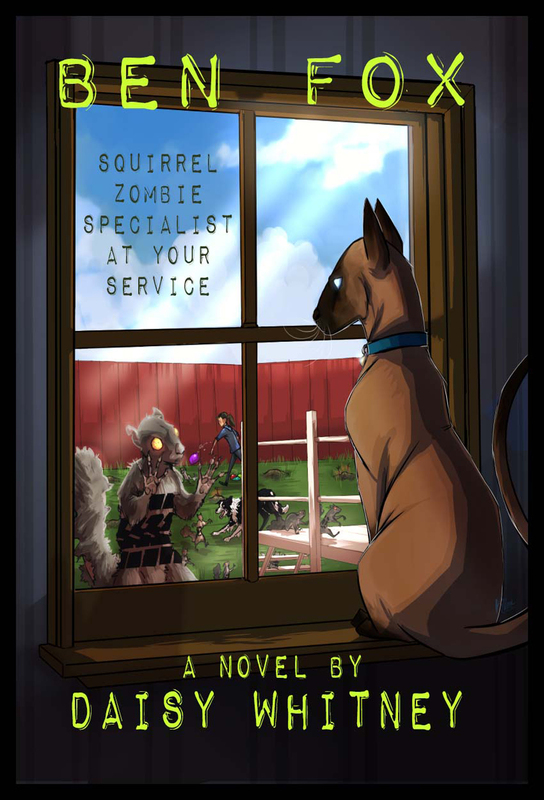 It’ll be up to Ben to figure out how to stop the dastardly cat before the dog falls prey to the feline’s nefarious plans, especially since Percy and his newly reanimated squirrel friends are gunning for nothing less than a full-scale Animal Zombie Apocalypse—when all the dogs start to behave like cats. If only Ben could enlist his mom’s help in the undead animal war. But his mom is petrified of things that go bump in the night, so Ben’s only hope is to team up with his little sister. Learn more about Daisy on her author page. But the book on Amazon, Barnes & Noble, BAM!